Times fluctuate a bit according to the season. All trips are Mountain Time! We can not stress this enough. 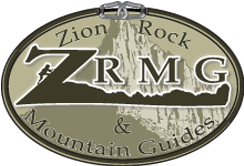 Bike Zion: 1458 Zion Park Blvd Springdale, UT 84767 (we are between the Bestwestern and the Chevron Station) on the west side of the road. When we can, we provide transportation to and from the activities locations. We reserve the right to occasionally have clients drive themselves and occasionally the guide to and from the location.